A newly refitted Hoverguard 800 (ex Heathrow Airport Rescue craft) has made her first successful sea trial at Lee-on-Solent today. Originally laid down in 1990 and powered by a Ford V6 engine , she served for over 10 years at Heathrow Airport as a rescue craft to navigate the marshland areas that eventually became Heathrow Terminal 5. 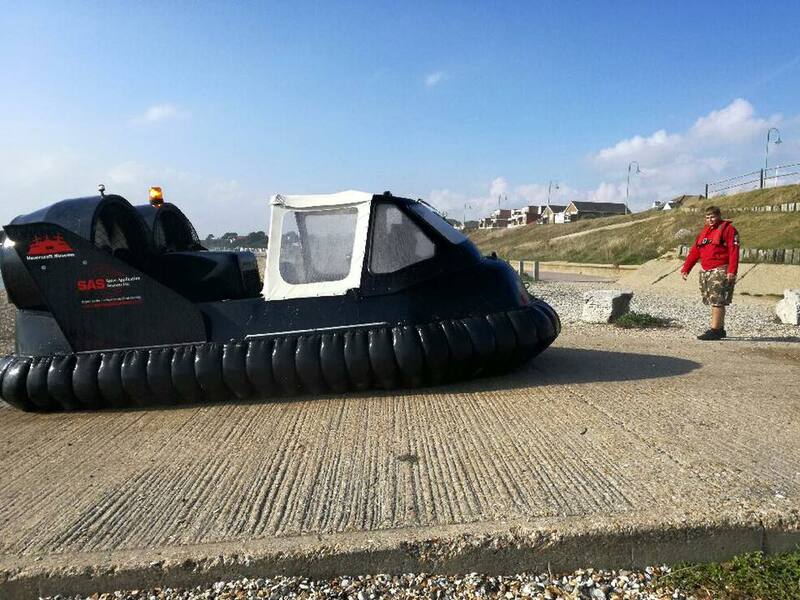 The craft is privately owned, but stored at the Hovercraft Museum on permanent loan since 2003 and has been overhauled in the Museum’s workshops. 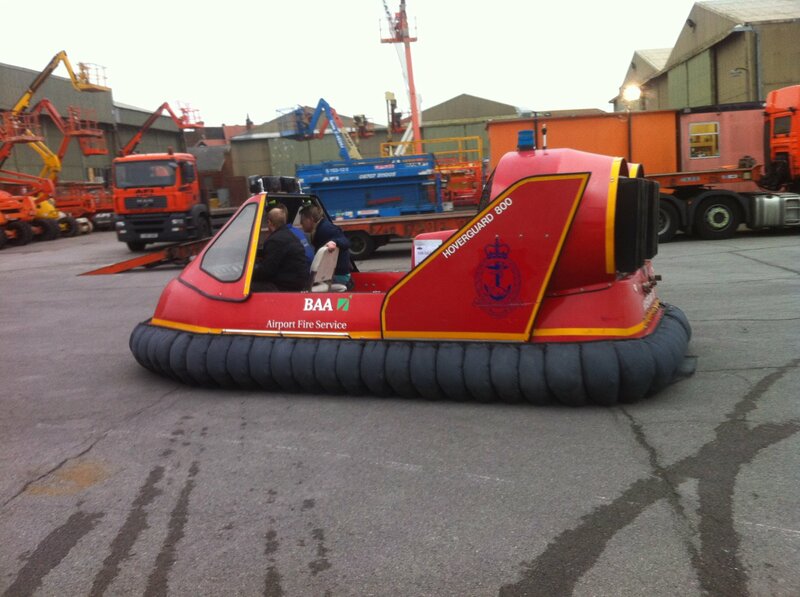 She is the only American Hovercraft in The Hovercraft Museum Trust’s collection! Photos courtesy of Warwick Jacobs. Last weekend (3rd Sept 2016), the Hover Mini hovered for the first time in ten years! This was in no small part due to the two brothers Andrew and CJ, who have spent the last few months working on the craft in the workshop. 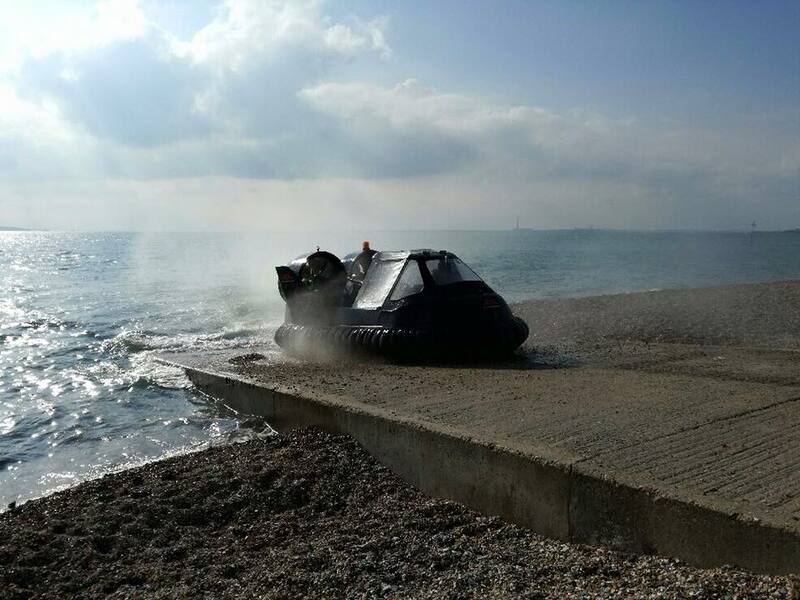 They’ve done a fantastic job, despite having known nothing about hovercraft when they joined as volunteers earlier this year! CJ is an Aircraft Simulator Engineer and Andrew is a former paramedic – it just goes to show that you don’t to have prior experience of hovercraft to make a difference at the museum! If you’d like to get involved please go to www.hovercraft-museum.org/volunteer to learn more! Posted on 7th September 2016 under in Exhibits | By Alex. Our SRN “Super” 6, twin-prop “Sure” has just received a fresh coat of paint – she really puts the N4 in the background to shame now! Our engineering team will be working on her over the coming months to tackle the corrosion to the airframe and re-instate the bow door. Standby for further updates on this project. HMS Sultan Engineering students have moved their project into the Workshop (building 31) to enable them to work on her over the coming months. Lots of hard work has been done to make space in the hanger and move some completed craft across to Building 40. Will keep you all updated on this particular project – our aim is to get ex Royal Marines Griffon 2000TDX(M) “C-22” back on the water!